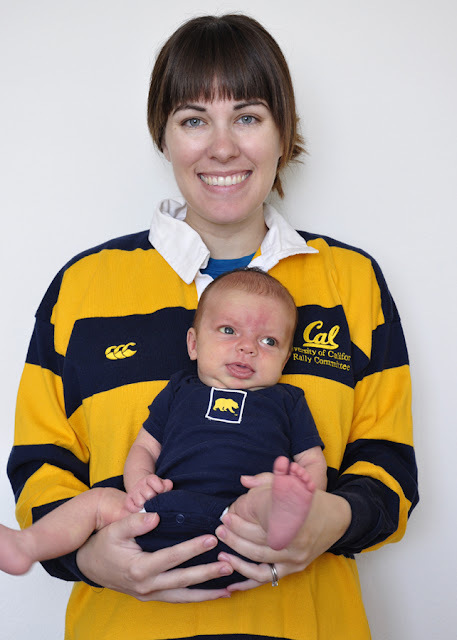 Since the birth of the Bubb I have seriously been neglecting being a Cal fan and maybe that is why they have been slacking a bit this year, 2-2. So for today's game against UCLA, I altered a onesie that I wasn't super crazy about into a Cal one, so that he can show his spirit. Old onesie, that is the perfect Berkeley blue, and I wasn't in love with it, so I thought, good onesie to change. I had found this fabric at Jo-Anns but it seemed kinda expensive at the time, so when I got a 40% off coupon I figured why not, and headed back to the store (I would love to say that I was in complete control of myself and this is the only fabric I bought, but why lie). I cut out the squares that I wanted to use, a bear for the front and a yellow Cal for the back. The bear fit just exactly over the stitched in quarterback design, so I think it was meant to be. I then creased the edges back, ironed, and was ready to pin them on to sew. 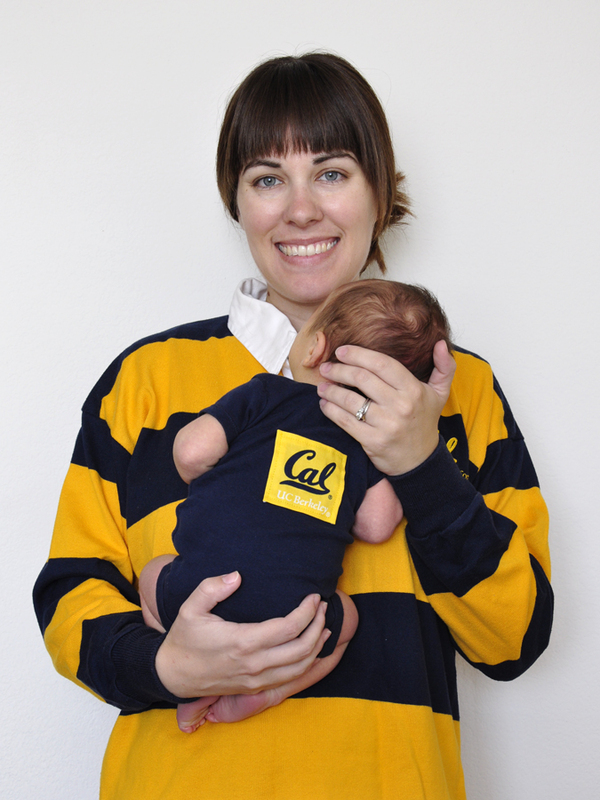 A wonderful Cal onesie for Emmett to wear today.